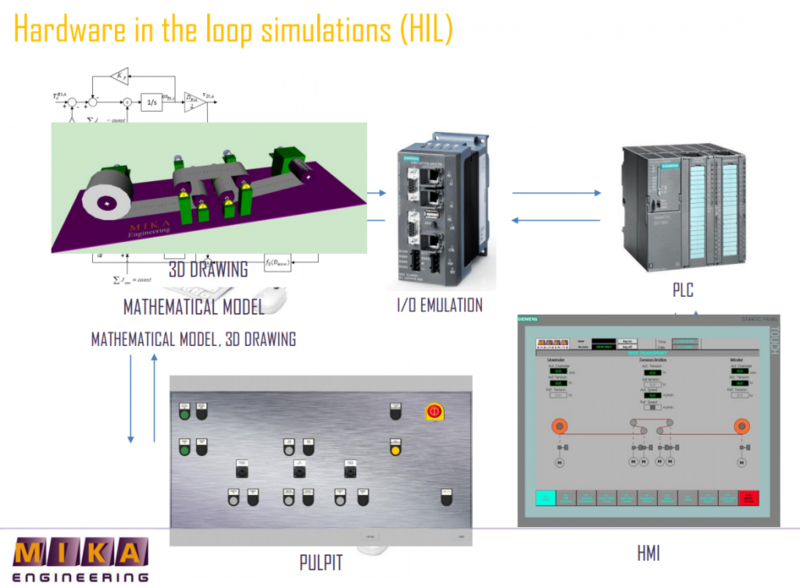 We develop model of whole machine and 3D visualization and we emulate whole hardware using Hardware-in-the-Loop (HIL). 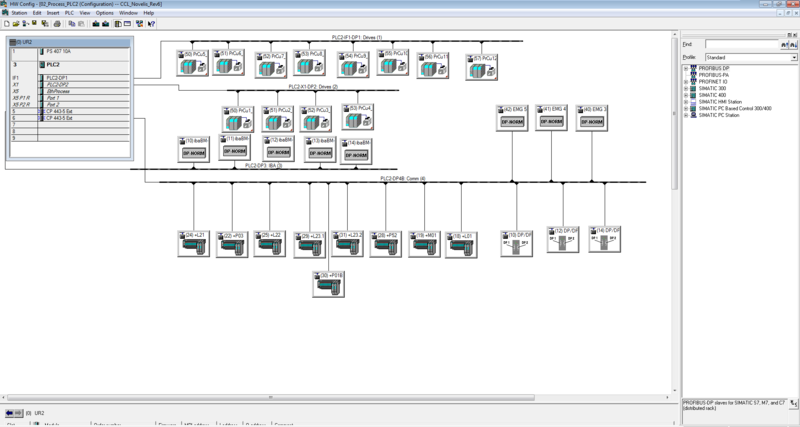 Matlab/Simulink, SIMIT and WinMod in real time simulation for industrial processes. Emulation includes complete hardware (I/O, frequency converters with or without PLC) and the emulation is done on the SIEMENS SimbaBox. 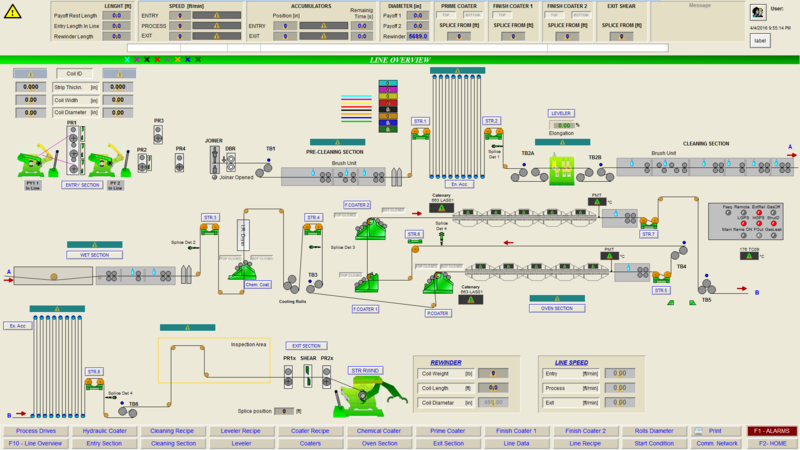 We use standard PLC or simulation as well as SCADA system which is bound to the line. Emulation of control panels on a PC platform with multitouch functionality. This cuts the commissioning time and gives the possibility for diagnostics of control programs and drive parameters before going to the site. 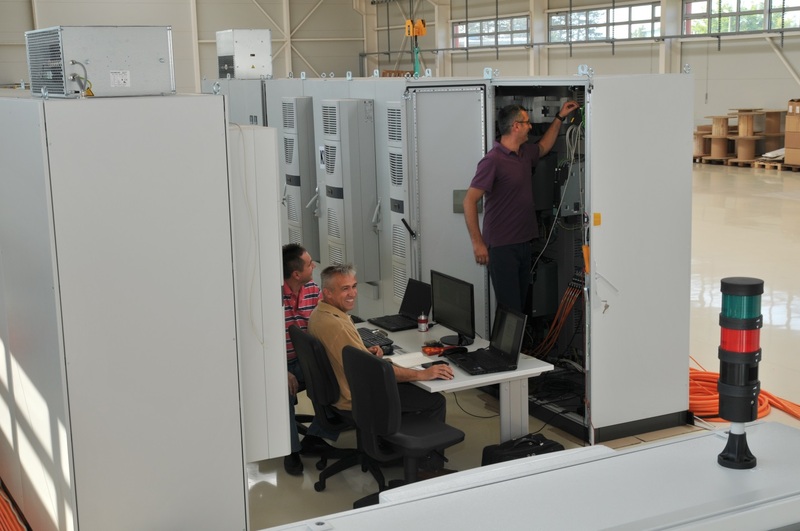 Beside testing of PLC and HMI programs it is also possible to organize a training for operators before the line is commissioned. Herewith, the time necessary for the operator’s training on the line/machine is drastically shortened as well as the percentage of their mistakes.